Enter the dark underworld of Prince of Persia 2, the sword-slashing sequel to the critically acclaimed Prince of Persia: The Sands of Time. Hunted by Dahaka, an immortal incarnation of Fate seeking divine retribution, the Prince embarks upon a path of both carnage and mystery to defy his preordained death. His journey leads to the infernal core of a cursed island stronghold harboring mankinds greatest fears. 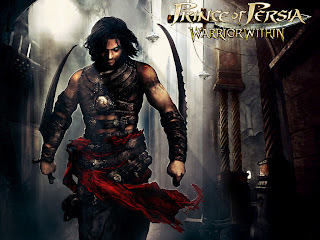 Only through grim resolve, bitter defiance and the mastery of deadly new combat arts can the Prince rise to a new level of warriorship and emerge from this ultimate trial with his life.